Sources: Competition Committee has recommended NBA's proposal on Draft Lottery reform, sending it to Board of Governors for a Sept. 28 vote. Sources: In proposal, Silver has discretion to fine teams for resting multiple players in single game, or healthy ones in national TV games. The NBA's proposed changes to the system would begin with the 2019 draft and include a smoothing out of odds among the league's worst teams, league sources said. For example, the three worst teams currently have a 25 percent, 19.9 percent and 15.6 percent chance of winning the No. 1 overall pick, respectively. Under the new plan, those teams would each have a 14 percent chance, league sources said, and the odds for ensuing teams would drop incrementally by a percentage point or two. Also, the league's three worst teams could fall further in the lottery than currently constituted, league sources said. The worst team could drop to fifth under the new plan, down from fourth. The second-worst record could move to sixth, down from fifth. 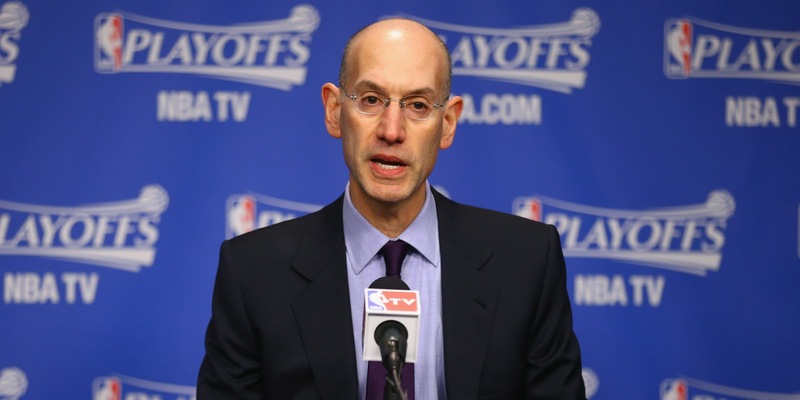 Silver will have the discretionary ability to fine teams for resting players in several instances, including sitting multiple players outside of unusual circumstances in a single game, and healthy players in nationally televised ESPN, ABC and TNT games, league sources said. When teams decide to rest players in games, they're encouraged to do so for home instead of away games. Also, star players sitting out games are expected to be on the bench during games and encouraged to be accessible to fans for interaction prior to the game, sources said. The NBA rid the 2017-18 season schedule of back-to-back games around national television appearances, giving teams less reason to sit out players for high-profile games. Obviously the amount of those potential fines would be a better gauge of how well the measure will reign in on player resting, but it's certainly a step in the right direction and a way for the NBA to punish teams utilizing the practice without seriously handicapping them. It would seem to be at the commissioners discretion and it's likely the fines would be determined on a case by case basis. Although it's not entirely clear in Wojnarowski's report, I believe the two issues would stand separate votes from the board, so it's plausible that one of the two is instilled and not the other. And while the draft lottery reform wouldn't come into effect until the 2019 draft it seems the other proposed reform on player resting could be instituted for the upcoming NBA season. Related: Will the NBA finally address tanking? And if so, will it work?